My latest interview has been with Jacob Perrett who is a 20 year old filmmaker from Meadville that is part of a group known as Fame Cinema. This group do a lot of varied projects, including horror shorts such as Planet of the Dead, Night of the Sitter, and latest film The Initiation. They can be found on YouTube at JacobSpeaks, and I will include one of their films after the interview. Can you tell us a bit about your team; what was the genesis for deciding to make films? The current Fame Cinema lineup we have now was acquired over the span of 2017. It is composed of Taylor Rhoades, who is my main collaborator, producer and acts in a majority of the projects. Along with Taylor is his wife, Danielle Rhoades, who does a great deal of behind the scenes work, she is like my "go-to" type of person on set. Another member is Matt Nale who had began working with us when he was 14. He attends the school I graduated from, and had expressed an interest in filmmaking, so I sort of took him under my wing. 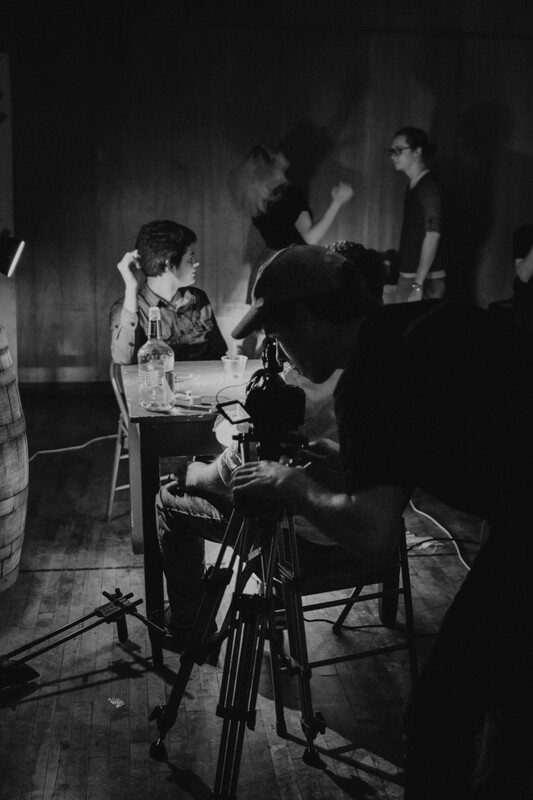 To finish off the group, Mackenzie Anthony and Christian Styborski both play pivotal roles in behind the scenes work. I began making short film when I was around 10 years old. Growing up, I tried a multitude of different activities, basketball, baseball, even taekwondo. I could never really find any joy or fulfillment in any of these things, not to mention, I was terrible at being an athlete. My dad had eventually introduced me to YouTube, where I realised that making content was what intrigued me more than anything in the world. I began making stop-motion shorts with my legos and clay. This world would soon spiral into a YouTube channel titled Jacob Speaks, and then eventually into a more "professional" Fame Cinema. Your films all look very professional which I admit I wasn't expecting, each film seems to be an improvement over the last in terms of quality. Where did you learn to do this, and do you think with technology these days it is a lot easier for people to be able to realise their vision if they have the right group of like minded people? Thank you! I'm self taught. When I was first introduced to YouTube, I would find videos I really liked, and I would try my best to replicate them. Over the years I just got better I suppose. With each film I try and focus on one particular aspect of the filmmaking process, and try and perfect that aspect. For example, Pumpkin Eyes I focussed on sound design, Night of the Sitter I focused on cinematography, etc. Like minded people certainly help. Prior to the short film Two Good Things, I was working with people who took advantage of the opportunities I was giving them. I won't go into detail because it's a personal matter, but my creativity excelled greatly after meeting Taylor Rhoades. It's just great having someone who understands your goals and supports them. What is your ambition, do you see film making as your future, and if so what lessons do you think you still need to learn? I've never wanted anything more than to be a film director. I'm currently a sophomore in film school trying to expand my knowledge and hopefully make connections that will benefit me in the long run. I believe I have what it takes, I just need to meet the right people. Who would you say your biggest inspirations are, and how did you come up with the ideas for your films? As of late, the biggest influences have come from 80's horror and television shows like Goosebumps and Are You Afraid of the Dark? We're currently putting together an anthology feature film about an old television show and four recovered episodes. It's my love letter to Goosebumps essentially, which played such a big role in my childhood, for better or for worse. 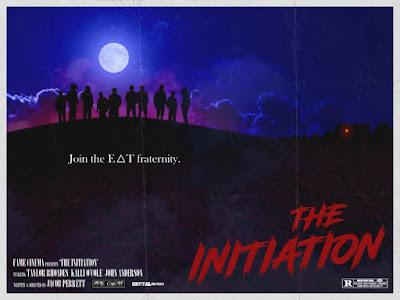 With some of your films the young cast compliments the story, such as latest short The Initiation (set during a strange frat party), in other films such as the impressive Planet of the Dead it sometimes felt like older actors would have better suited some of the roles. Do you think it matters about the age of the actors if their acting is a high enough standard to play the part believably? I absolutely think age matters. Planet of the Dead was my first REAL stab at making a movie. I was 17 at the time and only knew people of my age who would want to help me make the film. Adults in the area are so lame when it comes to this type of thing. Nobody wants to get behind or follow direction from someone who is younger than them, so I make do with what I have. A lot of your films have been horror based, or at least associated with the horror genre. What do you find attractive about this genre, and what would you say is your favourite horror film of all time? That's a good question. It's just something I'm attracted to. In particular I love old horror. For example, I didn't have the privilege of growing up in the 1980's but whenever I watch a film from that time period there is just a sort of nostalgic sensation I feel for that time. As far as my favourite horror film goes, I'd say A Nightmare on Elm Street or James Whale's Frankenstein. A Nightmare on Elm Street was the film that got me into the genre. Frankenstein, in my opinion, is one of the greatest stories ever told. I've always felt some sort of weird connection to the monster. Which of your films would you say has been your favourite to make, and do you have any regrets how any of your films have turned out? 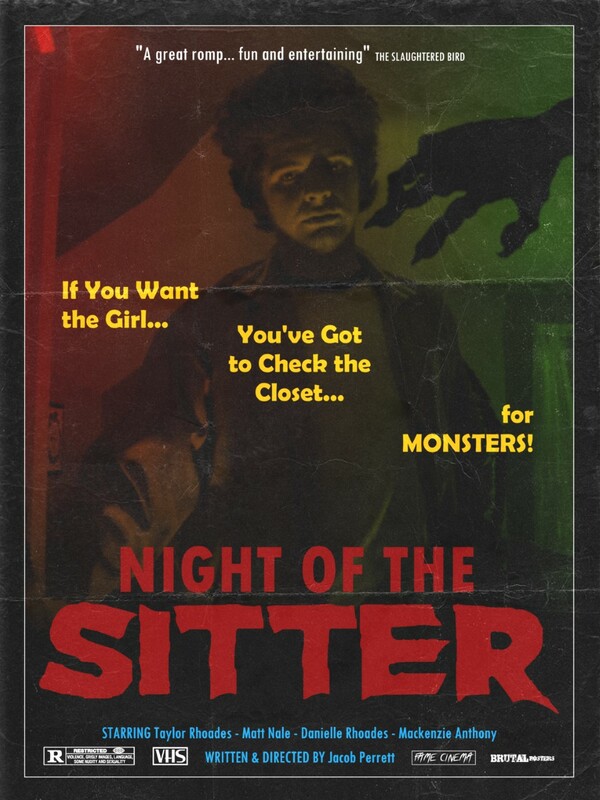 Night of the Sitter is my favorite. For Her is a short film that is most personal to me, and I get a lot of joy when I look back on it, but it's not the best. The Black Ribbon is probably the film I have with the most regret. I just think we were trying to take ourselves too seriously in that film. I don't regret the experience as a whole at all, however. It's just not who I am as a filmmaker. So over Christmas you released The Initiation on YouTube (loved the POV camera work on that btw), what is next in the pipeline for you and your team? Well, Incubus and Night of the Sitter have been taken down from YouTube, for a very big reason. The next film we will be working on is called Goodnight, Daddy, and is my version of a slasher film. 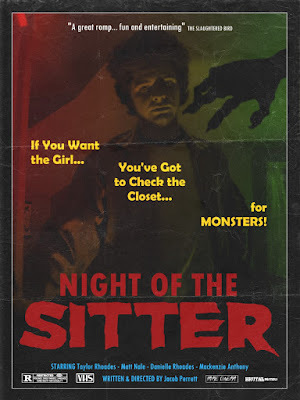 It will have the same aesthetic and feel that Night of the Sitter did. It will be the third entry into the anthology. The final segment will be called Cosmic Terror, and will play on some of the science fiction tropes of 80's horror. That will be shot in the spring. The feature all these films make up is called Weird Fiction, and has an estimated release date of October 2018.